From bedding to soft furnishings, curtains and more we have got you covered. Whether it be a spring clean, getting ready for winter or simply freshening up your blankets, doonas, pillows and underlays, we offer the best cleaning solution for your bedding, upholstry and curtains. 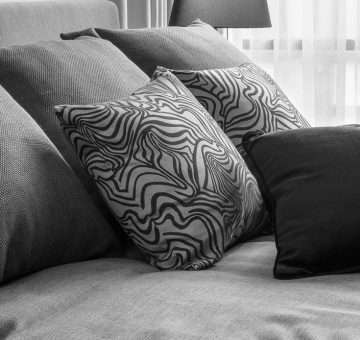 While upholstery is often cleaned in place by a professional cleaning process, many removable upholstery and cushion covers can be dry cleaned. Refer to the manufacturers care label if in doubt or contact Ad Astra Drycleaning for advice. The perfect way to keep your curtains in great condition or to kick off your spring clean, we offer a professional service for cleaning your curtains. Please note that most manufacturers of curtains and drapery recommend the allowance of up to 3% shrinkage during the cleaning process. Some curtains and drapes that have had high exposure to sunlight can cause the material to break down, and during the dry cleaning process can become damaged due to this sun damage. This is particularly evident with cleaning rubber backed curtain and drapery. For more information please see our Curtain Disclaimer.